Shows like a model home! Come take a look at this charming 2 bedroom, 2 bathroom home that is located in the 55+ Brighton Park neighborhood. From the moment you step on the front porch you'll fall in love. This home features wood flooring through-out most of the home, crown molding through-out, a built-in entertainment center, indoor utility room, plantation shutters on most windows, a large kitchen with white cabinets and a breakfast area, a spacious master suite with a tray ceiling and en-suite bathroom including double sinks, a soaking tub and separate shower. 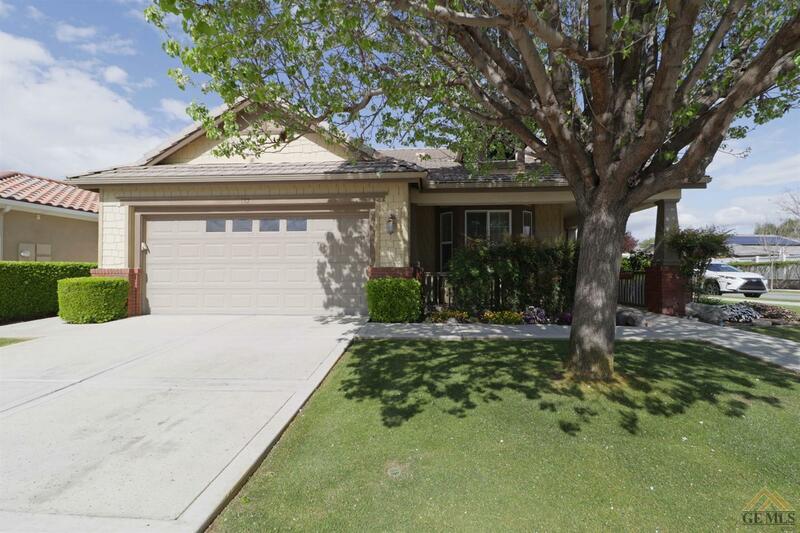 The exterior features a covered back patio, well maintained landscaping and a two car garage all on a corner lot! Residence have access to the community clubhouse that includes a pool and gym!